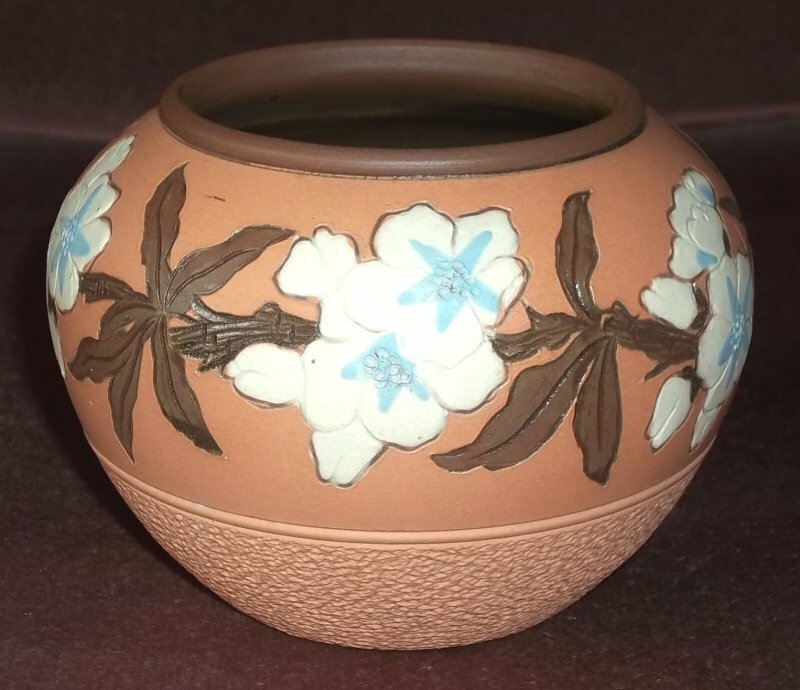 Langley Mill Pottery (Lovatt) - Derbyshire. Langley Mill; but can you tell me from when?! Hello. 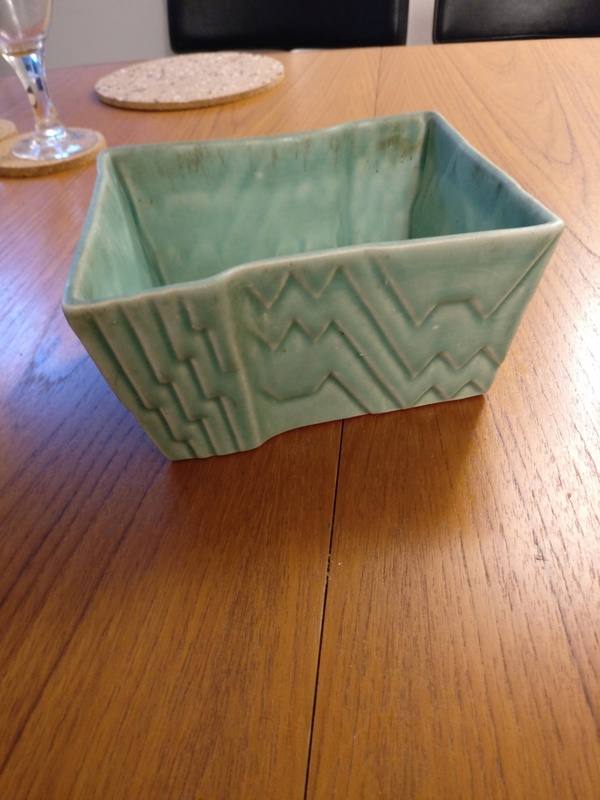 I'm new here but I'm so intrigued by this piece of pottery, I wondered if anyone could tell me anything about it out point me in the direction of similar or learning more about it? Thanks in advance. 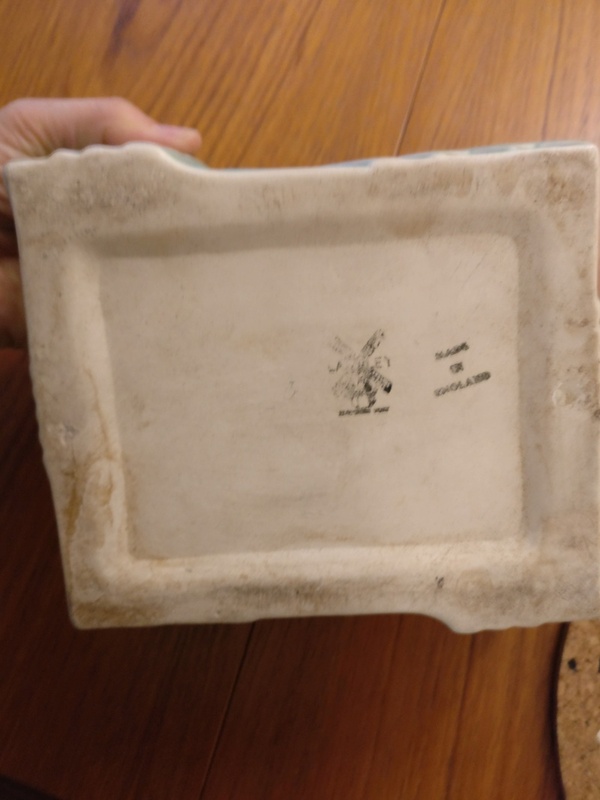 Re: Langley Mill Pottery (Lovatt) - Derbyshire. 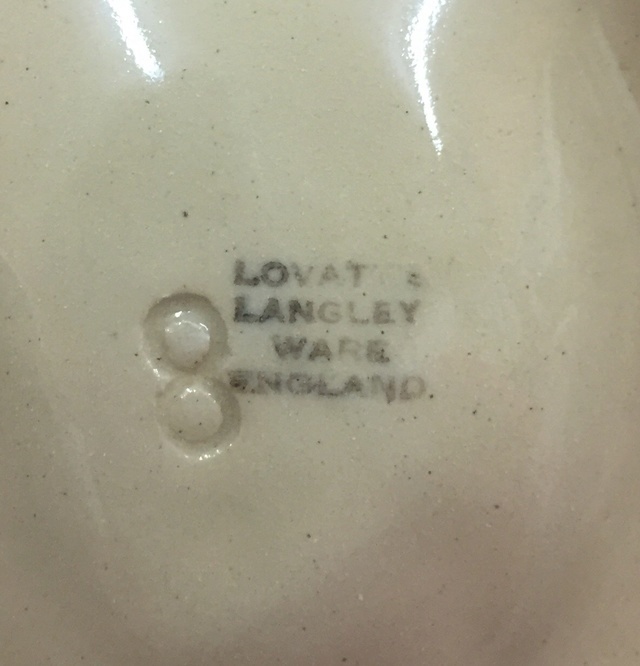 Langley pottery was a name used by Lovatt & Lovatt near Nottingham. This particular mark was used 1931-62. The style looks somewhat 1930's, but may well have been produced postwar as well for a while. 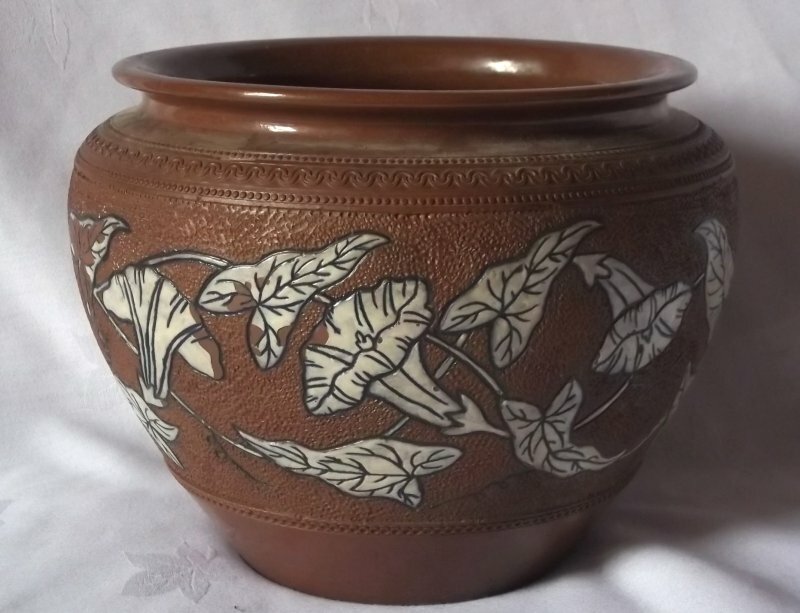 The pottery was taken over by Joseph Bourne (DENBY) in 1959. 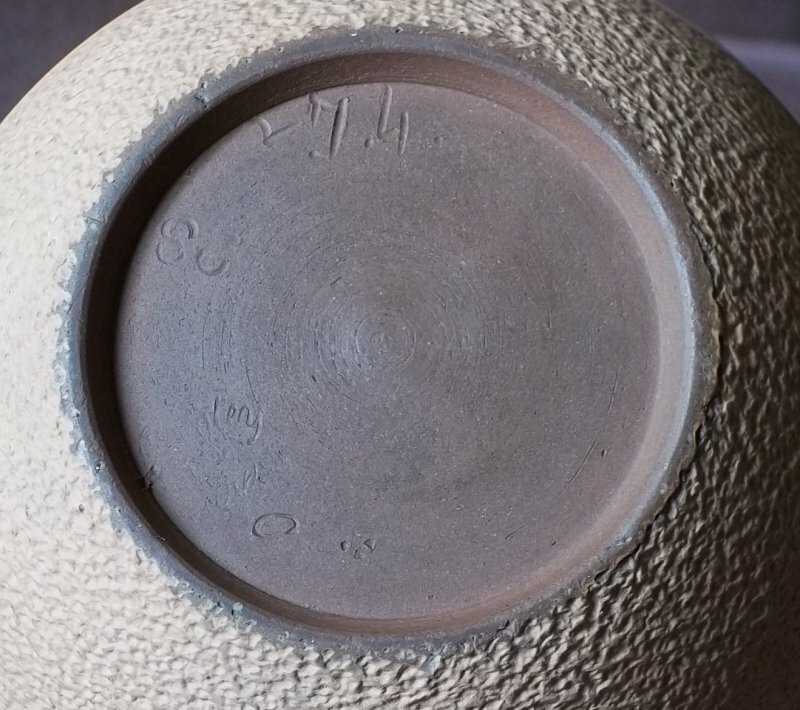 Reality is of course, that the UK pottery industry between the wars was still huge. 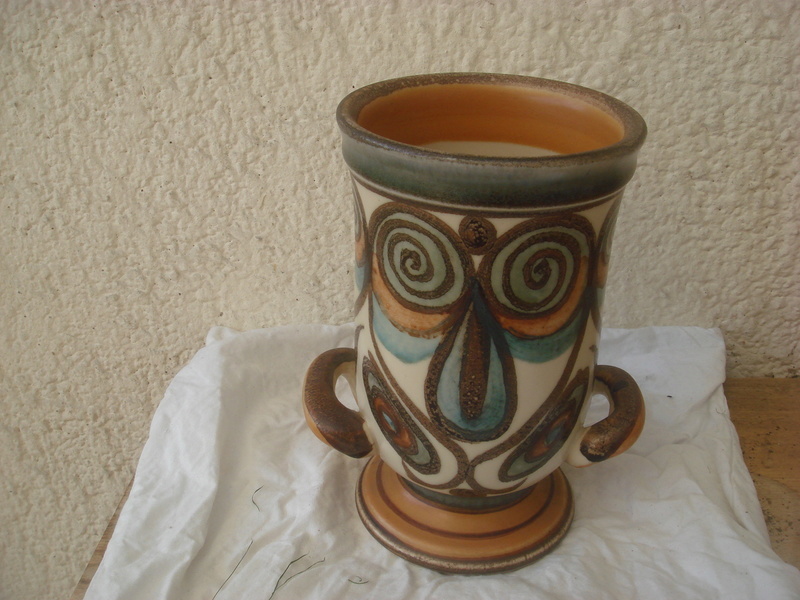 There were a lot of potteries producing many different designs in very large amounts of varying quality. 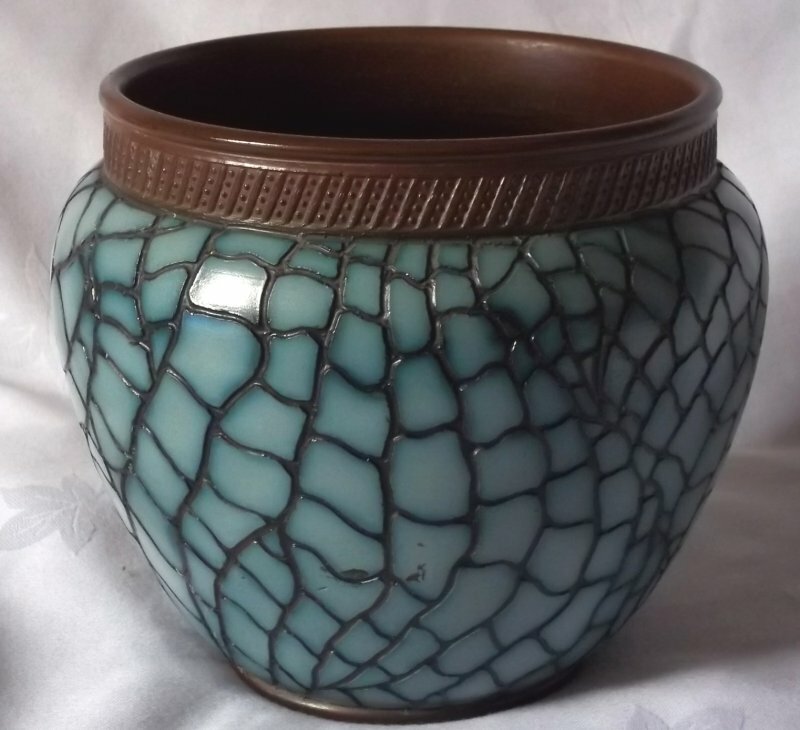 A large "Blue & Brown" Jardiniere c1880, no marks at all. from the 1880s. Just a couple of impressed letters underneath. 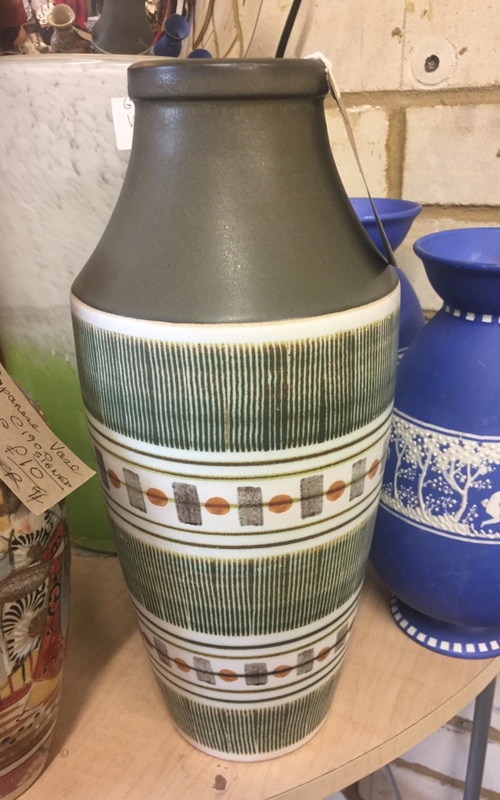 I'm guessing"Soraya " Pattern...Glyn Colledge ? I just did some reading up in the Langley book. off with another colour at the top, flowing down into the electric-type blue on the body. "Rosslyn " (red) and "Mavis" (green). 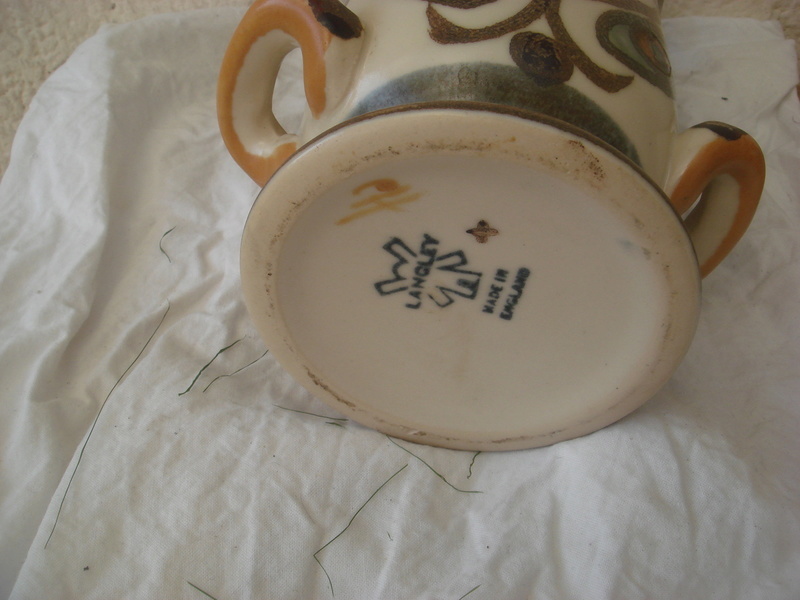 on another factory pattern sheet there is an image of this jug, shape 11986. 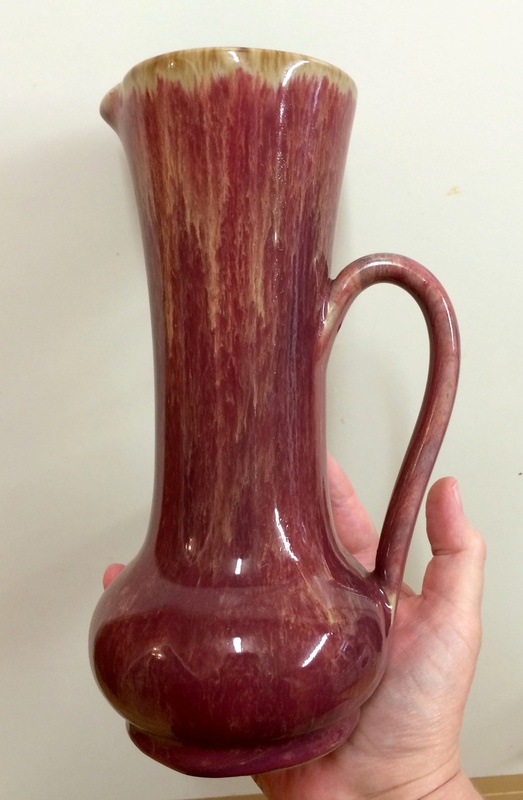 So by deduction, I reckon it's a Langley Mill "Rosslyn" jug from the 1930s. turner/shape/size/colour etc and a feint "Leaning Langley" mark. (1891-1901). 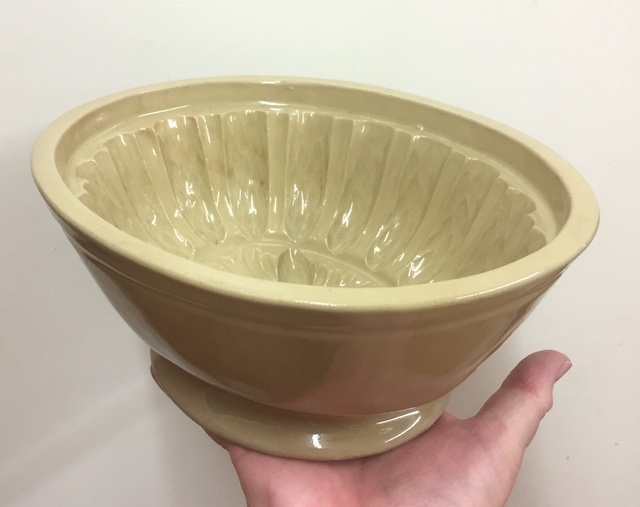 Lovatts Langley Ware jelly mould, 1930s? Mark was used c1901-c1933. 8 is probably the size. Yes, by Glyn Colledge. 1963/5.